The Great Ocean Road, located in Victoria, Australia between the cities of Torquay and Allansford, is a 243 kilometer stretch of road that is home to several unique landmarks like the Twelve Apostles and also the Great Otway National Park. Be enchanted by kaleidoscopic scenery that will take your breath away as you will pass through coastal towns & historic villages with The Great Ocean Road being one of the top 10 cycling routes in Australia! Feeling adventurous? Hit the trails in the area of Forrest with 16 mapped trails ranging from easy 2km rides to advanced biking of up to 11.5km! This would show you the exhilarating views that is of the Great Otway National Park as you pass through eucalyptus forests and fern gullies. End your ride at Torquay, enjoy the sea breeze and surf it up together with the locals at the surf beach including the infamous Point Danger. Hardy souls can look to tackle the whole thing in a day, but that misses the point of enjoying the ride and missing on one of the best ocean views in the whole world. 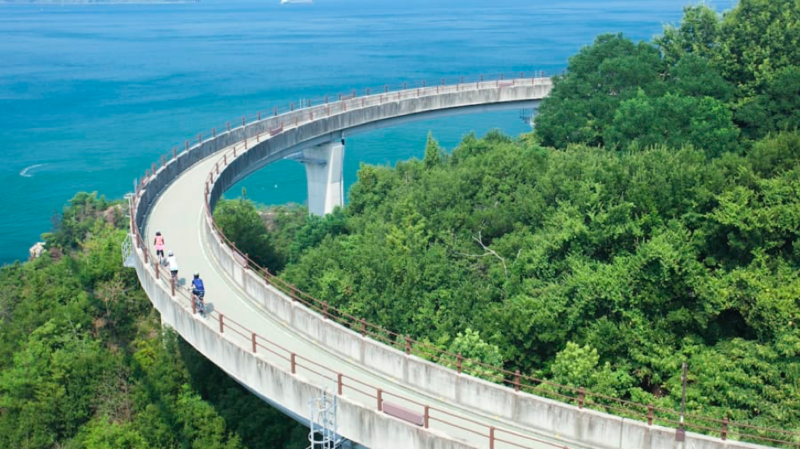 Cycle across the world's longest suspension bridge, Kurushima Bridge with views of the Seto Inland Sea by taking this picturesque route that spans just more than 64 kilometers long. Also, take the opportunity to visit the photograph-worthy Kosanji Temple located on Ikuchi Island, which is one of several islands located along the route. There exists a bicycle-only path for cyclists, separated from the main road that show the world a part of Japan's transportation culture on how cars, bicycles and even pedestrians can co-exist without any conflict. The start and end point is located in Onomichi town, where there exists several specialized hotels with a bicycle rack next to the check-in desk. Due to the convenience & proximity of amenities, you can consider taking the whole family along for the ride (yes, even young children) to spend quality time with each other! Have children who do not know how to cycle? We provide cycling classes for them! "Life is like riding a bicycle. To keep your balance, you must keep moving". Cycling, in its most basic form, is a more efficient mode of transport when compared to walking. Like the quote above, no matter the circumstances, everyone has to continue advancing; fast or slow so as to obtain their particular balance in life. Cycling is able to bring us to places we have never been to before (and also because public transport can be almost non-existent and even expensive in certain countries. A majority of us cycle for a number of reasons - some like cycling because it is simple, some like to take it rough and a handful like it exciting competitive and even full of adventures. 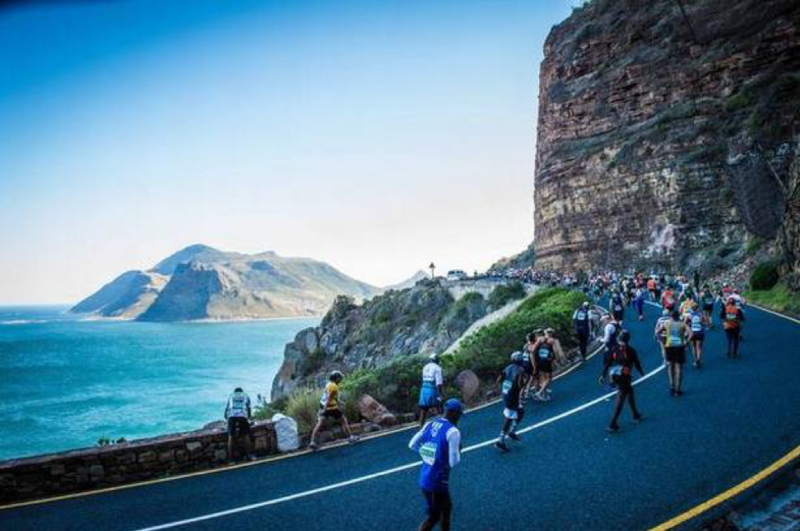 We have created a short list of places that you can add to your bucket list - ranging from the fairly easy & relaxed ride, to the lung bursting, teeth grinding competitive race! What can a cycling coach teach my child which i could not? Learning to cycle is an important skill all children should master as early in their childhood as possible. Other than the fact that it is naturally easier to learn the skill while they are young. The other perk is the endless benefits of having your child outdoors vs spending another afternoon with the I Pad. So here comes the tough part. How do you teach your child to cycle? If you happen to be a Dad in your 20s or you run marathons and complete Iron-man challenges without breaking a sweat. Teaching your child to cycle would prove to be a piece of cake. However for some us more average Dads, teaching your child to cycle would be, quoting a client "a back breaking feat workout". And of course we haven't point out the fact that younger generations are less patient towards the usual "trial and error" method we used to learn in our Kampung days. So frustration and despair starts coming into the picture. Biking Singapore's Cycling Classes are built to target these problems you have been facing. Our Children Cycling Classes are created to help children learn to cycle through the most efficient and fun method. The Children Cycling Class consist of 2 sessions of 2 hours classes. We focus on the balance which comes from gliding as a fundamental, which to the kids is a fun factor during the class. The speed and thrill of gliding effortlessly around keeps them interested to learn more. From there, getting their feet on the pedals and riding is just a matter of time. Other than just learning to ride on the bicycle. Our Coaches would be emphasizing on safety fundamentals essential to keep your child safe when they ride on their own. These skills would help them avoid falling over obstacles and to react with the safest possible action to avoid hurt. Such skills cannot be taught without certified Coaches and that is where we come in. 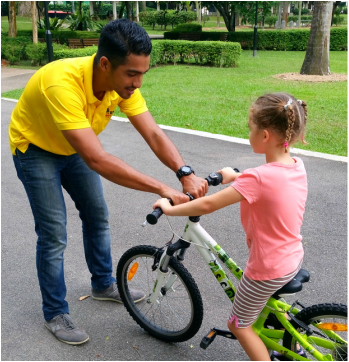 So for your child's safety benefit, get a certified Cycling Coach from Biking Singapore and rest assure that your child will gain more than just learning how to cycle. Instead of snow, we have rain. Instead of Christmas trees, we have Tropical trees. So how are you going to get into the Christmas Spirit if Christmas in Singapore isn't all that white? Similar to many Asian countries, Christmas is a grand and greatly celebrated festival. Locals would follow the traditions of gifts and feasts and come together with the families for a nice christmas dinner. Come, follow our guide on what locals do for Christmas and you can join in the celebration too! Walk along the streets of Orchard Road and you will come in view of the spectacular ornaments and lights dazzling away in the night. 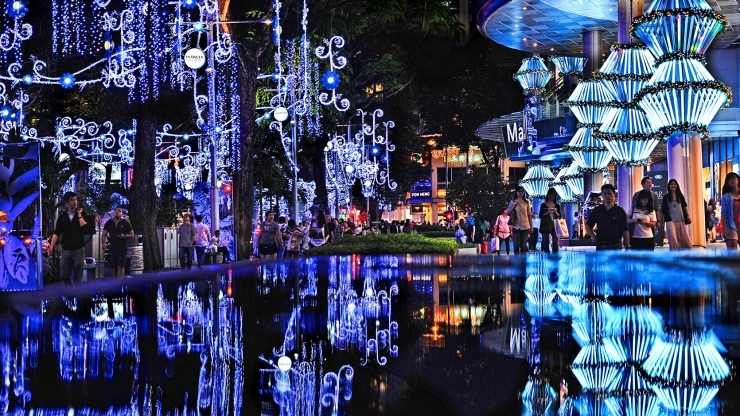 Every year, shopping malls along Orchard Road will embark on a battling display of Christmas decorations. Come on down between mid of November till Christmas to bask in the festive atmosphere and enjoy the mass of activities such as Christmas Choirs and performance on the streets! The team at Gardens by the Bay has definitely done their best show of the year with this exhibit! Get ready to be dazzled by magnificent light sculptures and carnivals to entertain the kids. If snow is what you need to get the Christmas mood in you, they have it there as well! Yes, snow in Singapore! All you need to do is hop into their Snow Palace; an indoors chamber for activities like snow playground and Ice Skating! ​Visit Christmas Wonderland for more information. To travel around the Christmas lights, we would recommend hopping on a bicycle and navigating your way around the city. Stop leisurely for photos or when you want to enjoy that favourite Christmas Carol a bit longer. Something a tour bus would never be able to allow you to do! We have put together a simple map on a cycling route you can ride on to enjoy all the sights listed. ​To book our mobile bicycle rental, please visit our page, Mobile Bicycle Rental. Our service allows us to deliver our bicycles to any location in Singapore and pick up at any other location. Coney Island, The Hunt for the lone cow. So the crew has been crazy over National Geographic and Discovery Channel, since we subscribed to these channels lately. 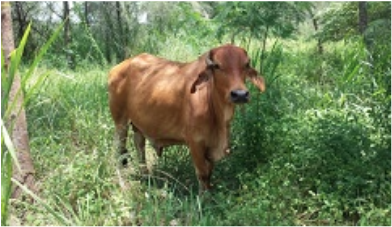 When the post on Coney Island was posted and they heard about a Wild Brahman Cow that roams the island freely, everyone was ecstatic. So we pulled out our maps and GPS (which is just our iPhone and Google Map App) to determine the objective for the route we are going to work on. 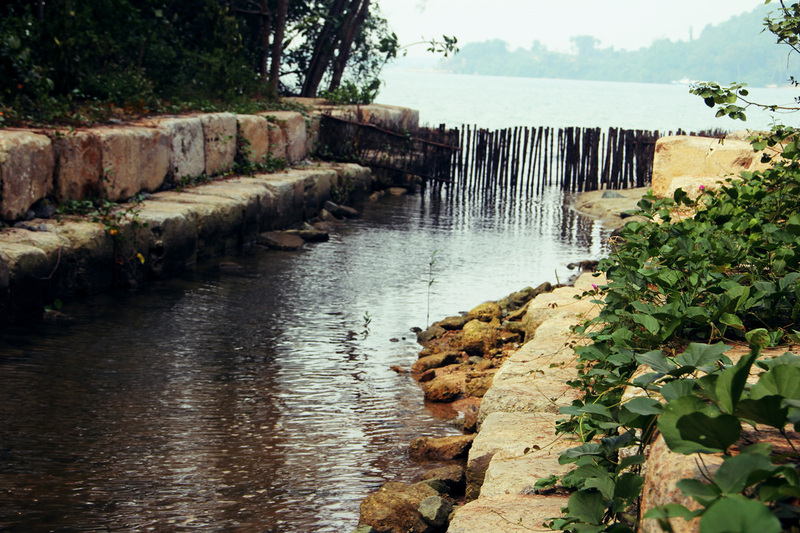 After several options, we decided to approach the Escapade as how a resident of Punggol would. 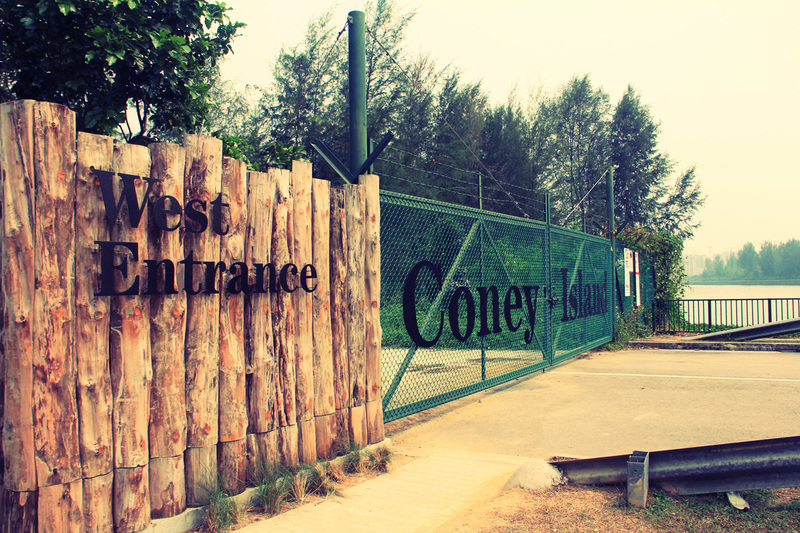 (considering that Coney Island is just next to Punggol Waterway Estate) And introduce the most scenic and comfortable ride through the Punggol Waterway to Coney Island and to return via Lor Halus Wetland Bridge. We decided to start from Oasis LRT station in Punggol since it's easily accessible via the Punggol MRT station. 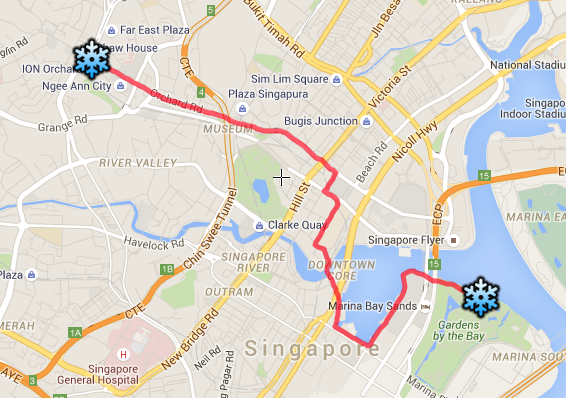 From here we made a turn into the Punggol Waterway Woodcress (shout out to Woodcress residents!) towards the Sunrise Bridge. The viewpoint here is breathtaking, perfect for a day out. Photo on the right shows our return exit. After 15mins of cycling along the coastal track towards the West Entrance of Coney Island, we finally saw the Dam and the big gate spelling Coney Island! At first, the closed gate got us worried but we quickly realised that the side gates were open and presume that's how its going to be. The island is looked after by the National Parks and the opening hours are from 7am to 7pm. So I'm sure you remember the National Geographic crazy crew I had with me? At this point they were gearing up their Super Powerful cameras, looking to get That National Geographic Worthy photo of The Cow or at least anything that walks, fly, crawl or digs to you. Once we had everything ready, we stepped into the gates of Coney Island for the adventure! We followed the concrete track that loops and it led us towards the coast line. The view that opened up was breathtaking. With the sea meeting the concrete steps and not having barriers spoiling the view, Mother Nature seems to be closer and intimate! 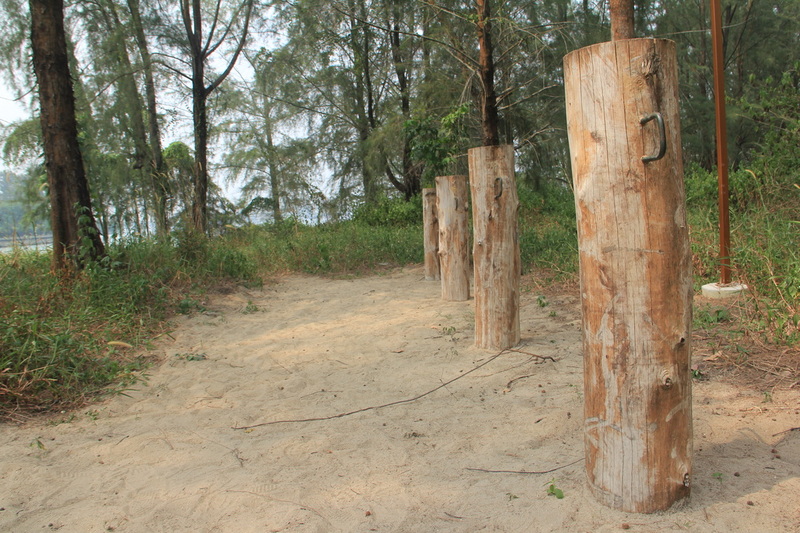 Finally towards the end of the tracks, we came across an obstacle course which was build by logs presumably from the renovation of the Island. 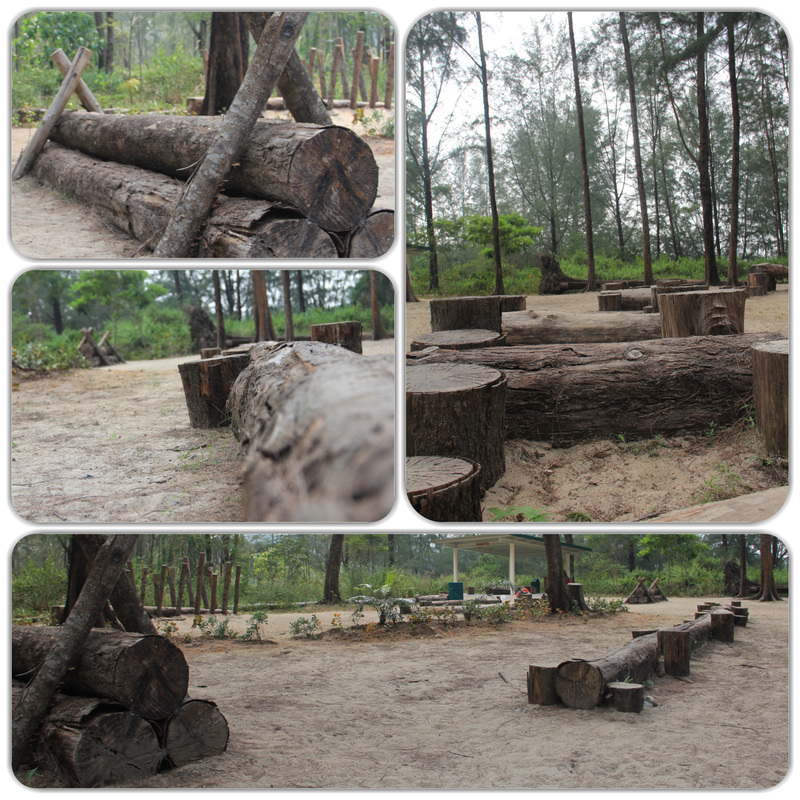 I enjoyed the effort put in by Nparks, where nothing is put to waste. They do their best to utilise all the natural resources found during the construction of the island and keeping the balance between comfort and nature. As we completed the ride around the concrete track, we prepared to head into the dirt track. These tracks branches off from the concrete road and the signs show potential of more wild life. Which we presume is hint of where the Cow is suppose to be. Delightfully, we realised that the dirt track leads to the 5 Beach Areas and the view that welcomed us was fantastic! 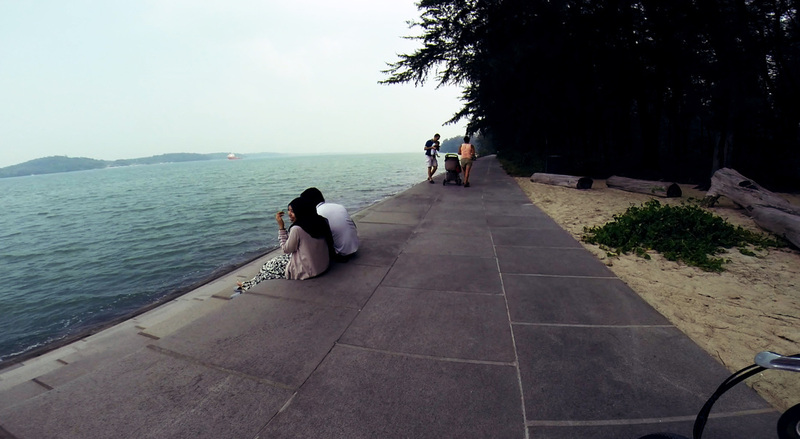 You had the coastal view with Pulau Ubin at the far end and the breeze coming in... until.. we start to feel the itch on our legs. Then we saw the sign. That's right. As beautiful as the view is, the beach has it's flaw. The Sandflies. You can't see them nor hear them. They move in like ninja and they make sure you remember them. We would STRONGLY recommend you guys to cover yourself in repellent twice, trice or just finish the whole bottle on each leg. 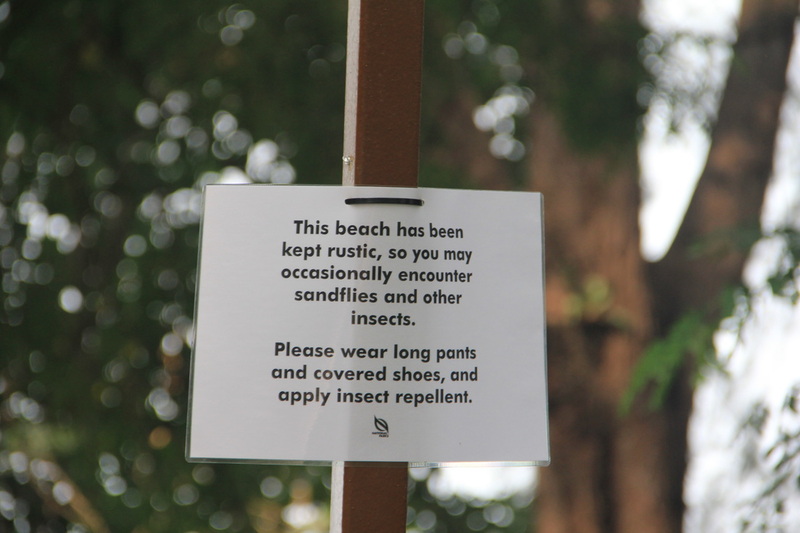 You do not want those sandfly bites, period. As we continued on the dirt track, one of the crew spotted disturbance from the bushes. Using whatever field signals he remembered from the 2 years stint in the army, he got us to stop in our treks. 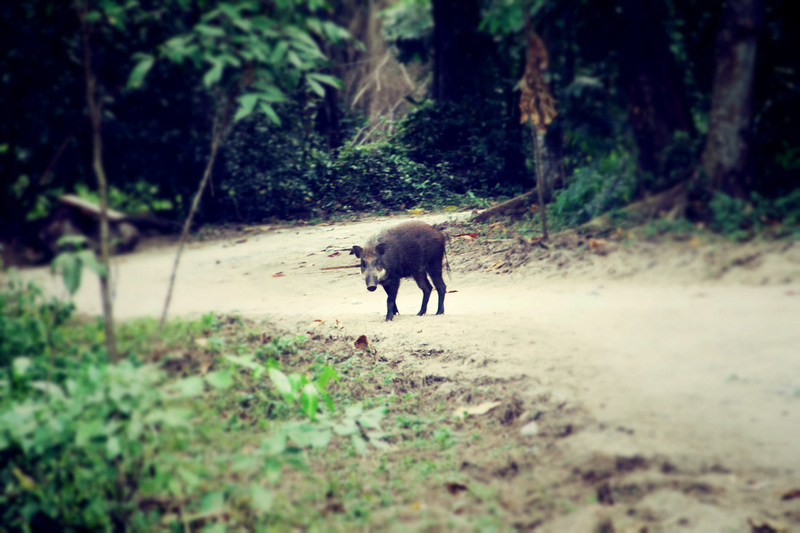 What greeted us was a lone Wild Boar, which seemed uneasy around human. This was unlike the nonchalant Wild Boars on Pulau Ubin. He quickly dashed into covers when he saw us in the distance, which I guess they haven't warm up to our presence on the Island yet. Advisable to stay off their way for now. Bird Hide are available for Bird Watchers to take cover. We ran into the Mangrove path which lead us to a pretty cool looking dam. 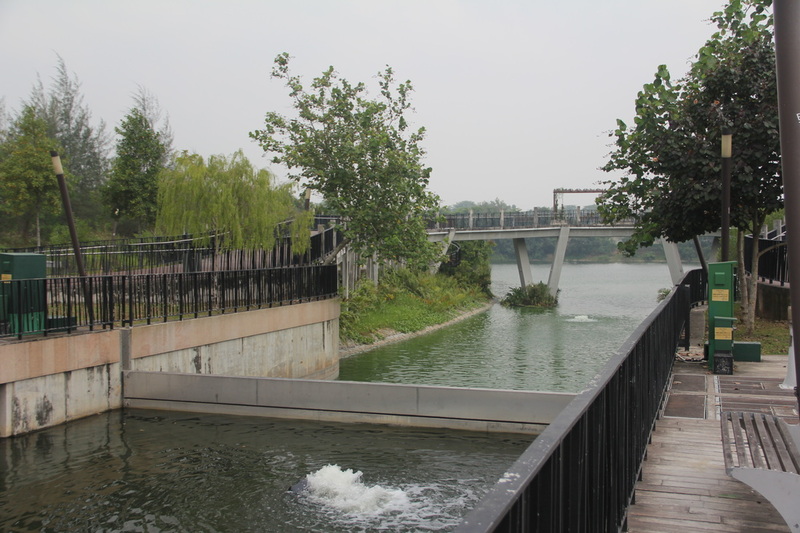 It was built with cement blocks as the wall of the river and they used wooden stacks to sort of create a dam. 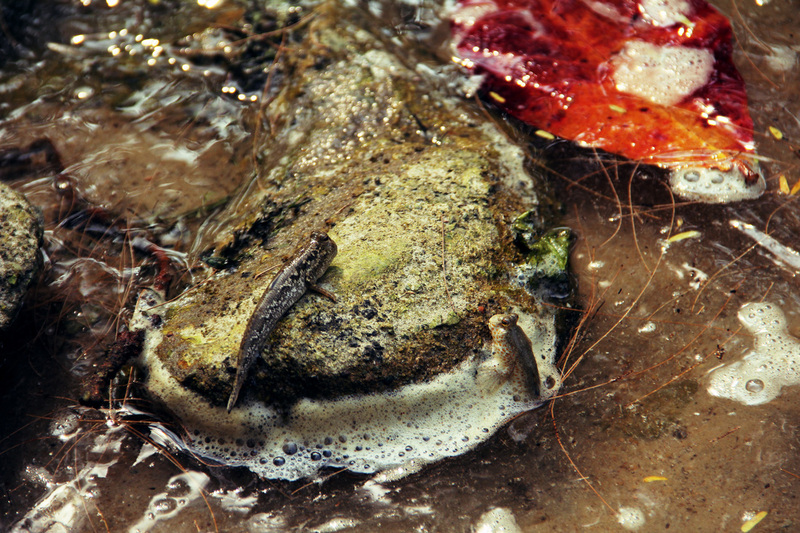 We spotted Mudskippers skidding through the water as we tried to get a nice shot of the wooden stick dam. Weird looking guys but adorable at the same time. cow, where are you HIDING? Coming our from the Mangrove, we realised we are coming close to our exit at the East Entrance of Coney Island, which also means we failed to see The Cow! We guess he must be hiding somewhere under the shade and just not ready to be taking interviews. 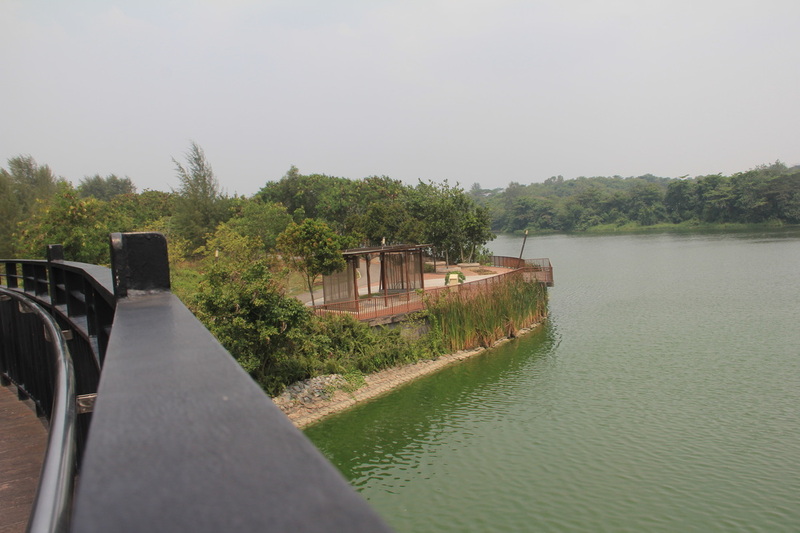 Nevertheless, we headed out towards Lor Halus Wetland as our target to get back to Punggol Waterway and spotted a secluded pond along the way! There stood a lone Stork who was more than happy for us to take a few shots of him. So our National Geographic crew had that chance to take some wild life photo, other than the pig. After another 10 mins on the ride, we manage to reach the Lor Halus bridge and joined back into Punggol Waterway. Total of 2.5hours leisure ride and though regretful, we didn't see The Cow. We did however enjoyed the change in scenery especially so close to our heartlands. 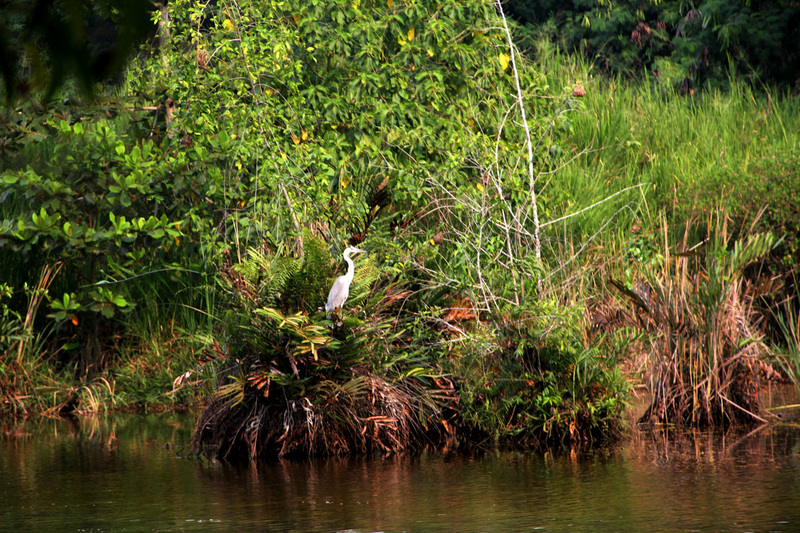 If you are loving the outdoors and wouldn't want to get too far from Mainland Singapore. Coney Island is your best pick. 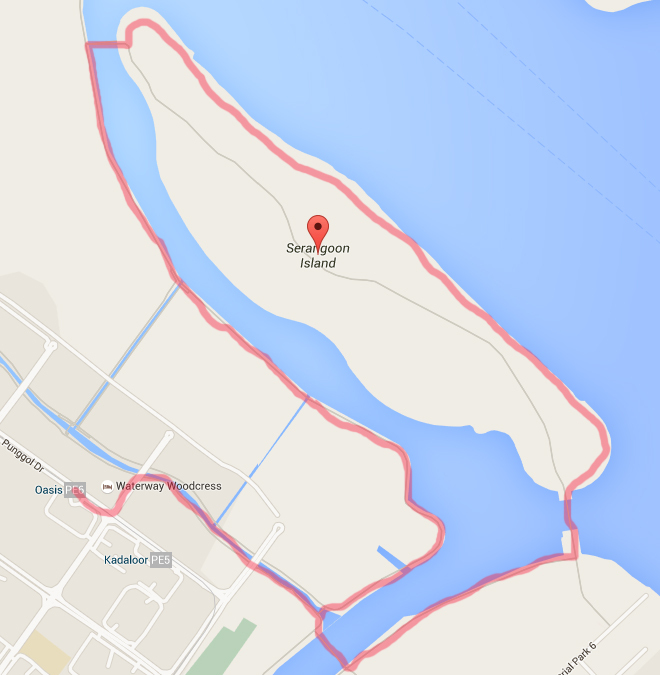 With the effort of retaining the authencity of the Island, Nparks have made this both a safe and enjoyable getaway. We do vote this as a must come for local Singaporeans. 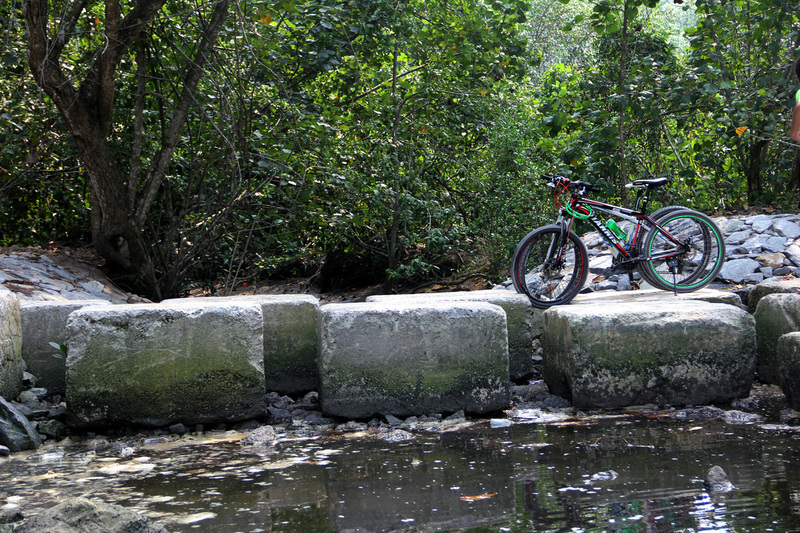 However for Tourist, you can get more with us on our Biking Singapore: Pulau Ubin Tour (click for more information on the tour). 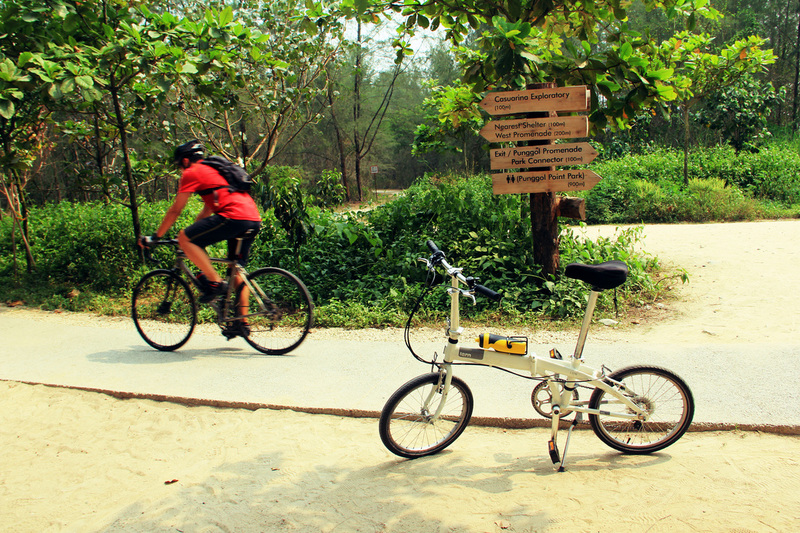 We came in our Tern Link C7 Foldable bicycles and it performed pretty well on the trails. The route had a combination of concrete, dirt and sandy tracks. The only time we felt challenged on our foldies was going through the sandy tracks, but a quick switch on the gears solved that. 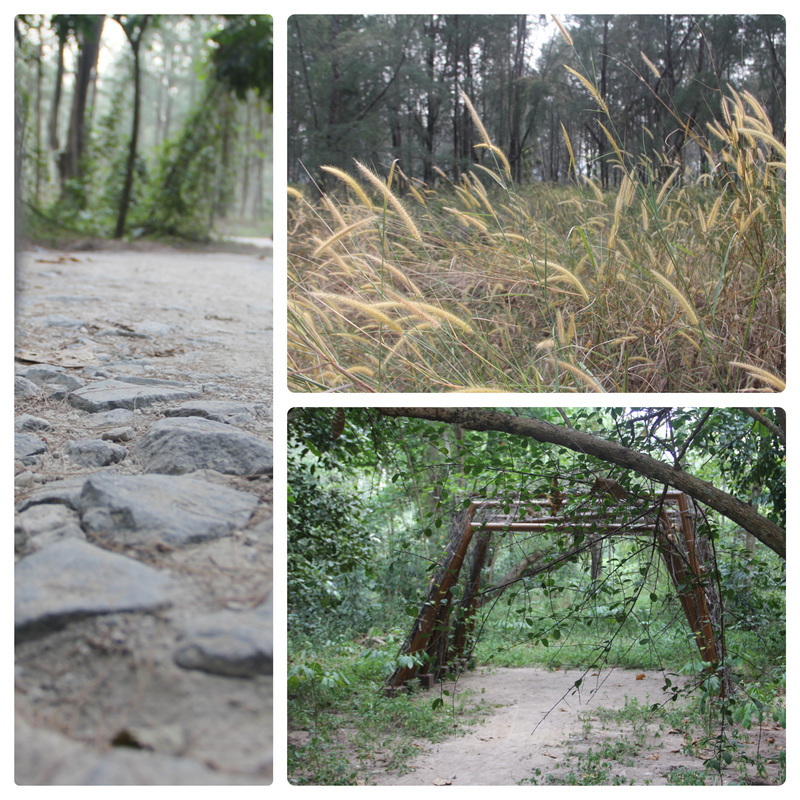 The National Parks has done a fabulous job turning the place into a comfortable and fascinating trek. You can trek comfortably along the paths with directional signs at each junction, telling you the distance to the next prominent point. We see couples, families with toddlers coming in for a stroll and not breaking a sweat going around. The island houses up to 5 Beach Areas, named from A to E. Each of the beaches are done up with a rustic feel and that also means sand flies are common. Our crew had our legs sacrificed to those invisible insects and the itch from the bites will keep you awake all night! So please protect well with insect repellent, especially for the young ones. The island houses a very clean toilet, which you can make use of. However do take note that there are no water coolers for you to feel your bottles. 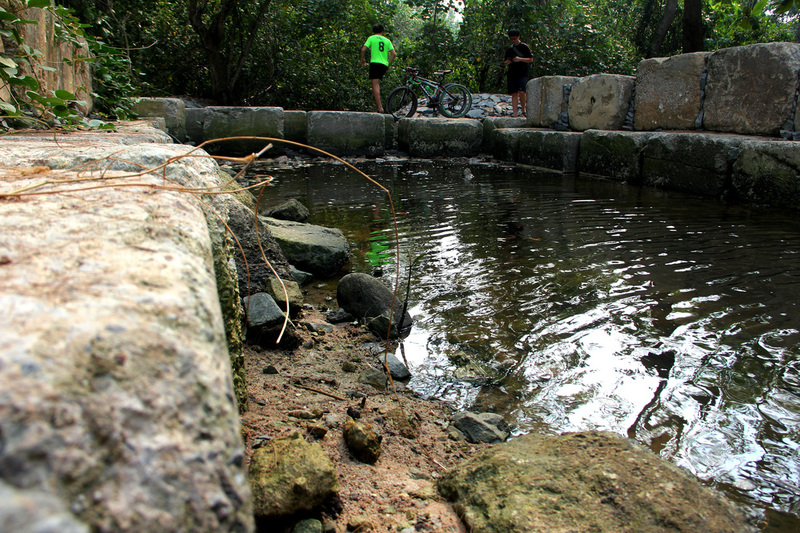 Make sure you bring sufficient water along on your trek, otherwise the closest drink would be back at Punggol. 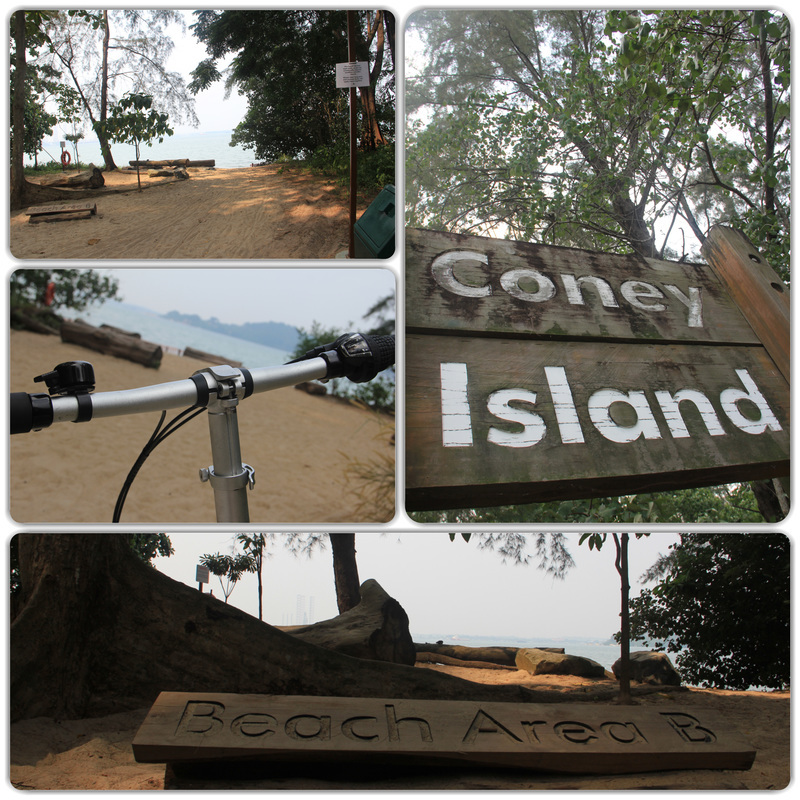 We have also prepared a full video of our ride along Coney Island. So for the more visual readers, do enjoy our video and please feel free to share it through our Facebook link. Coney Island from Tony Loo on Vimeo. 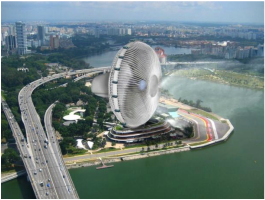 So, we have been getting the questions from our guests on the status on the air condition in Singapore due to the haze. Article on Haze, credits Channel News Asia. It's an annual affair where our air gets tainted due to the forest fires from Indonesia and the National Environmental Agency (NEA) has implemented the PSI system to gauge the seriousness of the air pollution. PSI 24-hrs Reading : Allows you to get the latest PSI index for the last 24 hrs. ​PSI Health Advisories : Translate what the PSI index reading means. And of course many concerned guests are checking in on how we are coping during this period and whether their tours are canceled ( and my mum checks in on whether the business is folding due to the haze as well). We have made your health and our crew's welfare the utmost importance and making sure the tours are done in healthy conditions. We are providing Free N95 masks for our guests who comes for our tour, just to make sure we got all bases covered.